Arrival Kathdodam Railway station, Pickup & Transfer to Nainital by surface approx. 45 kms/ 2 hrs. arrive in Nainital and check inn at your hotel. Rest of the day will be at your leisure or you can enjoy a boat ride on Naini Lake (on own). Overnight at the hotel. Today morning you will proceed for half day excursion of Himalaya Darshan & Khurpatal. Afternoon you can enjoy a cable car ride (on own) till the snow view point. Evening will be at your leisure or you can time free to stroll on the Tibetan Mala Bazaar and visit the Naina Devi Temple. Evening you will return back to your hotel. Evening you can enjoy a stroll on the Mall road and Shop the famous wax candles. Overnight at the hotel. After breakfast check out from the hotel leave for Kausani by surface approx. 120 kms/ 4 hrs. On the way you may see Almora (Almora is a Region and there is many temples). On arrival Kausani check inn at your hotel. Overnight at the hotel. Morning after breakfast depart for Corbett via Ranikhet by surface approx. 160 kms/ 4 hrs. 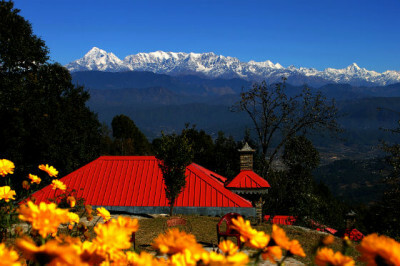 Enroute you will halt at Ranikhet (Ranikhet is a hill station) for visit the Golf Course Ground and their beauty. Afternoon you will arrive in Corbett and check inn at hotel. Overnight at the hotel. Wake up early in the morning the spectacular view of sunrise over the Himalayas. Later you will check out from the hotel, and depart for Haridwar by surface approx. 200 kms/ 5 hrs. On arrival transfer to hotel and check inn at hotel. Later in evening visit Haridwar Local Temples and Participate to famous Ganga Aarti at Har Ki Pauri. Overnight at the hotel. Morning after Breakfast check out from the hotel and Proceed to visit Rishikesh sightseeing In cludes, Ashrams, Temples and Ram-Laxamn Jhula. AFternoon depart for Delhi approx. 265 kms / 7 hrs. You will be transferred to the airport/ Railway station.